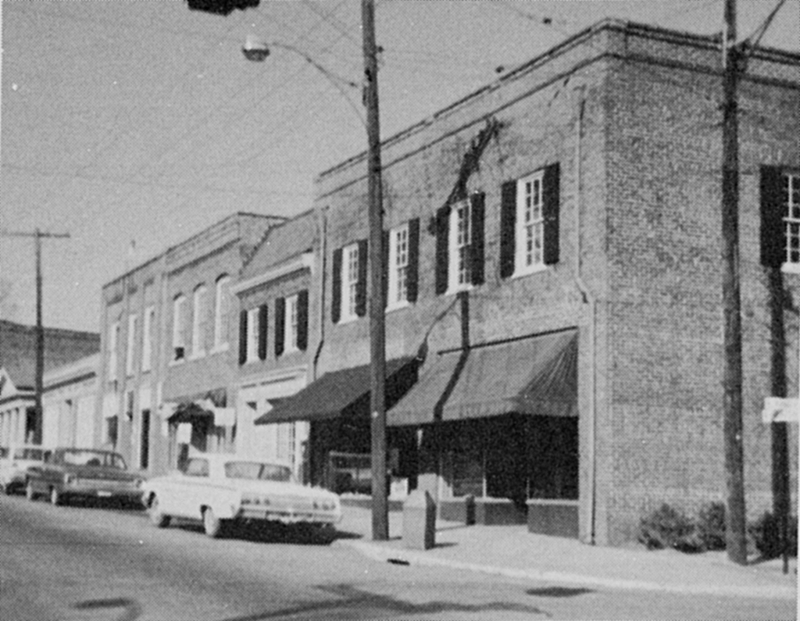 This two-story commercial building is constructed in a one-to-five common bond and is simply adorned with a paneled parapet with terra cotta coping and arched entrances with fanlights on the right (south) elevation. 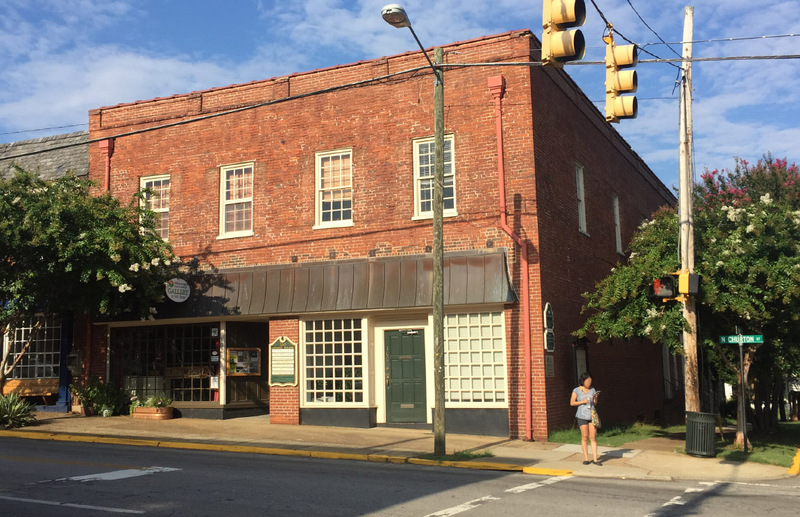 The building has two Colonial Revival-style storefronts, both likely added in the 1930s and sheltered by a full-width flared copper pent roof. The right (south) storefront has a nine- panel door recessed in a paneled entrance bay and is flanked by forty-two-light picture windows on a low knee wall. The left (north) storefront has a nine-light door in an angled, recessed, paneled entrance bay with two large thirty-six-light picture windows to its left. There are nine-over-nine wood-sash windows at the second-floor level of the façade and right elevation with six-over-six windows on the rear (east) elevation. Near the rear of the right elevation are two double-leaf entrance, each with six- panel doors topped by fanlights in arched brick surrounds. The entrances are accessed by brick steps with decorative metal railings and there is a single nine-over-nine window in an arched brick surround between the entrances. The building is not on the 1911 Sanborn map, but Bellinger dates the building to 1912.